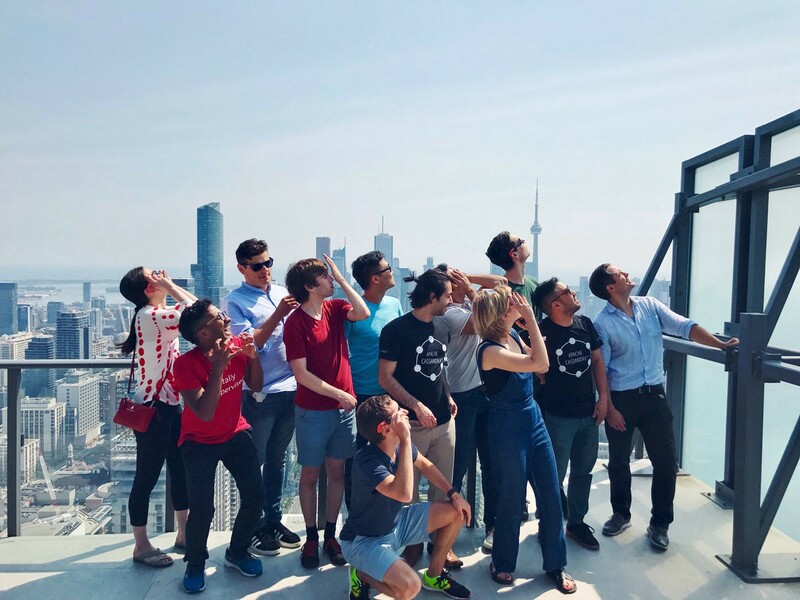 The team is distracted by the solar eclipse. Today we’re announcing $9 million in Series A funding. We feel the best way to describe what this means for the company is to publicly share the internal email the Dessa (formerly DeepLearni.ng) founders sent to the team, which announces the funding and its impact on our company’s future. Find a press release about the announcement on GlobeNewswire here. It’s best not to think of this as money. Instead, we should think of this as nine million tons of rocket fuel, the critical resource needed to take Dessa into the stratosphere! The metaphor resonates because few other things inspire childlike, unfettered dreaming like a rocket launch. And by launching, we’ll be loosening ourselves from the gravity of what we thought was once impossible. Of course, rocket fuel is not without its dangers. We should treat this opportunity with the respect it deserves, and be cognizant of the responsibility we all have. Mostly though, let’s all feel grateful, lucky, and proud of all we’ve built so far — and also be excited for what we’ve yet to build. We will be investing heavily in Foundations. The future of Foundations is the future of Dessa. Our primary concern will be crafting Foundations into the very best tool for building AI. We will be levelling up our dev game to make this happen. Our team will grow and so will the standard of talent. Our increased profile will mean a new crop of highly motivated and highly talented teammates. We should look forward to new faces with new skills and be excited that working together will only make us better, both as individuals and also as a team. Our business development efforts will expand, and our client list will grow. We’ll find ourselves working on many interesting projects with many interesting partners. We’ll be broadening out the industries we work with and the types of projects we take on. While we’ll always be Toronto-based, our operations will begin to grow internationally. This means we’ll get to work with the best people on the planet. It’s also an opportunity for people to develop in different parts of the globe. Sometimes the reward for hard work is more hard work. As time goes on we’ll graduate to a higher class of problems. We should all look forward to this. Things will be different from now on. But what will never change is Dessa’s essence: a sacred space where all of us are free to be our authentic selves. By fostering this environment, we can do the best work of our lives. Take courage. Strap yourselves in. We’re in for a crazy ride. Curious to know more about our work? Check out + subscribe to our Machine Learning Monthly to keep track of what we’re up to here. You can also find out more about what we’re up to on our website at www.dessa.com.